We were engaged by french liquor brand owners, Pernod Ricard Asia, to film their Premiere Awards night. Pernod Ricard is the world’s co-leader in wines and spirits. 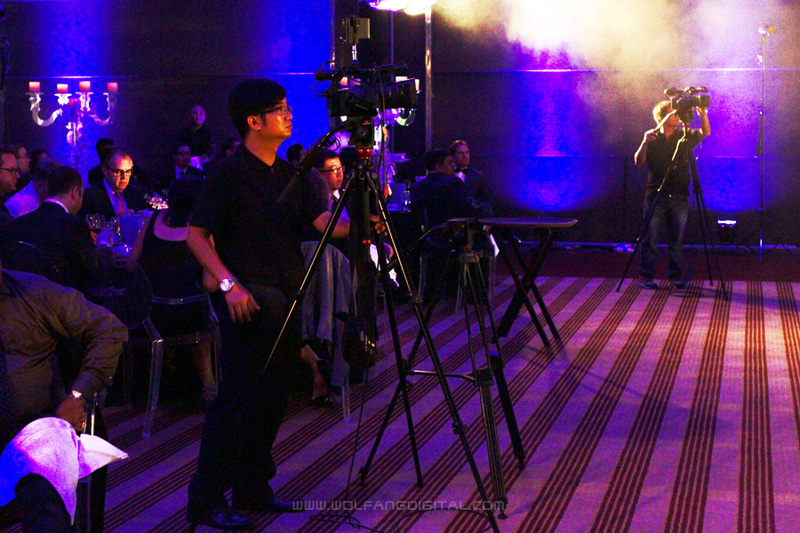 Two of our videography teams covering the event and sending out Live Video Feed to all the LCD screens in the ballroom. This is a multi camera shoot. We used a video switcher to alternate view angles from 2 cameras positioned right in front of the stage. The Live View Feed from the video switcher was then sent to all the screens around the ballroom. Participants all the way back of the room could see the action. 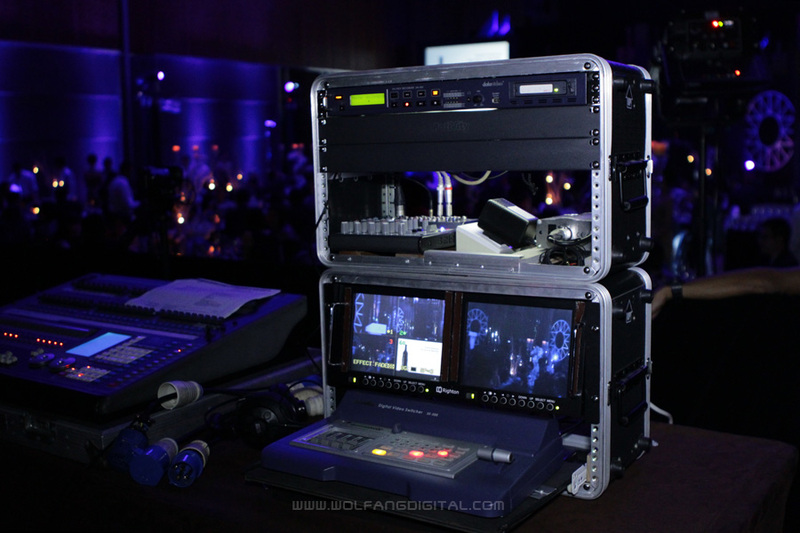 Our Live Video Feed services which includes multicamera production with video switchers. On top of that, we had 2 other mobile videographers who would move around the ballroom to film more artistic shots of the event. Here is how a video switcher looks like. All of WolFang Digital’s video switchers are now Full HD. The highlight of this event was the performance by Okotanpe. This guy is out of this world! 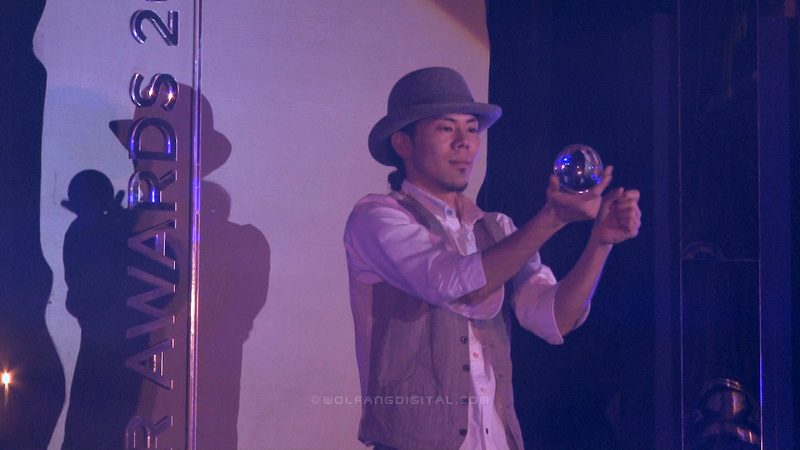 He shows of an art, more like a skill, called Contact Juggling. This was an international event that took part in the beautiful Pullman Putrajaya Lakeside Hotel.